An electronic document industry pioneer, Ernie Crawford, is the President and Founder of Crawford Technologies. One of only 17 people worldwide with M-EDP (Master Electronic Document Professional) designation, Ernie has more than 30 years of senior marketing and management experience in the high-volume electronic printing market. Over the past 20 years, Ernie has grown Crawford Technologies from a basement startup into a leading international technology company with offices in Toronto, New York, Boston, Fort Collins and London. Crawford Technologies has been listed as one of Canada’s fastest-growing companies for the past five years by Canadian Business PROFIT Magazine, has been on Deloitte’s North American Technology Fast 500™ and has been recognized by Branham300 as a top Canadian technology company. Today, Ernie’s vision and expertise are the driving force behind Crawford Technologies. Early in his career, Ernie built successful marketing and support organizations within Xerox Canada. He has consulted with many prominent companies in the industry including IBM and Xerox. Ernie is an avid skier and the father of two beautiful daughters. 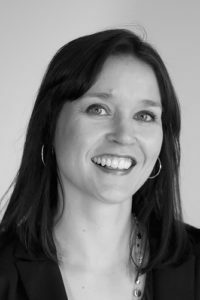 Darcie is a seasoned executive who has been leading finance and operations teams at high growth companies for over 15 years. She has steered firms in the software industry through all phases of corporate lifecycles, from start-up through maturation and on to successful exit. Darcie has led several M&A transactions for the companies she has represented, from both the seller and the buyer side. She has extensive experience architecting and continuously improving business and financial systems, strategies and processes within newly-established and rapidly growing companies, ensuring smooth operations and accurate and relevant metrics that help drive the company forward. Darcie oversees all finance and administration functions at Crawford Tech. Darcie has been a mentor with Big Brothers Big Sisters of Toronto since 2014. Scott Baker brings 30+ years of executive experience in marketing, strategy, international business development, global sales and strategic alliances in the enterprise output management, ECM, and BI software markets. Scott heads up CrawfordTech’s AccessibilityNow.com e-commerce business and is heavily involved in strategy, business development, and Product Marketing. Prior to joining the CrawfordTech team, Scott was Vice President of Strategy and Channels at NEPS LLC and previously served as Vice President of Worldwide Business Development and Worldwide Channels at GMC Software AG. Scott has held key positions with the pioneering software companies in COLD, EBPP/ESP and report mining markets. 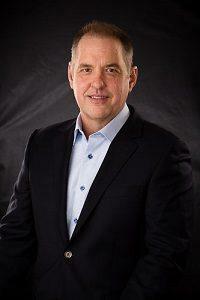 Scott currently serves on the Board of Directors of Xplor International. Scott is recognized as a global subject-matter expert on customer communications management. Carol Steinbock brings 20 years of experience in human resources in manufacturing, financial services and technology companies. With an SHRM-CP (Society for Human Resource Management and PHR® (Professional in Human Resources) certifications, in technical and operational aspects of HR practices in U.S. and Canada laws and regulations, Carol leads, guides and recruits the exceptional team that makes up CrawfordTech. Carol is certified in 'Crucial Conversations' and offers employee training to create alignment by fostering open dialogue around high-stakes, emotional and high-risk subject matters. Carol is passionate about working with entrepreneurs and driving employees to think and act as leaders. Carol works closely with CrawfordTech's CEO/President, Ernie Crawford, towards the goal of making Crawford Technologies one of the best companies in the world to work for. Carol has been a volunteer victim advocate for Larimer County's Sheriff's department for more than 10 years and is passionate about making a difference in every life she touches. As Vice President of Product Management, Harvey Gross drives the success of CrawfordTech’s solutions and services. Harvey is responsible for CrawfordTech’s product strategy, positioning and product development, and extending solutions into new markets to provide opportunity for future growth. Prior to joining CrawfordTech, Harvey was Chief Technology Officer at Datawatch Corporation as well as its Vice President of Product Management & Development. His responsibilities at Datawatch included managing the technical infrastructure as well as the day-to-day operations of the worldwide development staff. Harvey has more than 30 years of product development, product management, sales and commercial operations experience in the document management, content management and business process markets. He served as Chief Technology Officer of Lason, Inc., an international business process outsourcing firm, where he established an electronic content management service as an application service provider (ASP) and was instrumental in growing that business from inception to $20 million. 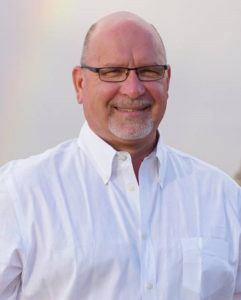 He also served as Senior Vice President of Virtual Image Technologies, Inc., a regional document management service company and as Senior Vice President of business development at 360Services, Inc.
Jeff Hines is responsible for leading, managing, and directing CrawfordTech’s U.S. direct sales team. As a seasoned sales executive with more than 15 years of experience, Jeff has developed interactive business relationships with senior executives across vertical markets, including financial services, healthcare, insurance, retail and telecommunications. Before joining CrawfordTech Jeff excelled as a business developer for document composition, e-presentment and archiving companies. While Vice President of Sales at EPSIIA (now a division of Fiserv), Jeff led and managed a team of sales executives throughout the United States. He was responsible for attracting, recruiting and retaining top sales talent and consistently exceeded corporate revenue expectations. Jeff was eventually responsible for transitioning the sales team into a larger organization when EPSIIA was acquired by Fiserv in 2001. At Crawford Technologies, Jeff and his team are responsible for helping organizations improve customer experience by enabling a more streamlined and automated customer communication delivery process. Tim Ciceran has over 20 years of experience in the high-volume electronic printing industry, with a specialized focus on data transformation, workflow management/print production and web presentment solutions. His background includes research and development, project leadership, IT management and technical team management with Imaging Research Inc., Xenos Group and Crawford Technologies Inc. Tim is responsible for CrawfordTech's customer support, professional services, IT infrastructure and quality assurance groups. His leadership in customer support and professional services has allowed CrawfordTech to build strong relationships with its ever-expanding customer base resulting in year over year improvements in CrawfordTech’s NPS® rating, which is currently +68. As Vice President World Wide Channels & Alliances and International Sales, Tim is responsible for world-wide strategic partners & channels and sales outside of North America. In addition, as Chairman of the UK Chapter of the PDF Association, Tim is an advocate for accessible document technologies and a frequent blogger on subjects related to next generation archiving and PDF technologies. Prior to CrawfordTech Tim spent 8 years with EMC’s Enterprise Content Division as business development manager for archiving products and latterly as strategic alliance manager for key global systems integrators. Tim is a graduate of Industrial Computer Science from the University of Gloucestershire and is a frequent author of articles related to customer communications archiving. Tim is based in the UK. As Vice President of Strategic Partnerships, Buddy Perry is responsible for leading, managing, and directing CrawfordTech’s North American Strategic Partnership team. Buddy has more than 30 years of senior management experience in the production workflow, enterprise output management and CCM markets, and as a sales leader has developed and managed relationships with other industry leading vendors. At Crawford Technologies, he guides our efforts to establish meaningful partnerships to bring our solutions to a wider customer base. Before joining CrawfordTech Buddy led sales teams at Ricoh, Pitney Bowes, ExStream Software, DocuCorp, and Bell + Howell. Through his leadership these companies were able to expand their offerings, their market share and their profitability. Buddy has degrees in marketing and management and is a frequent industry presenter and speaker. He owns several patents in relevant technologies and is recognized as a leading industry expert. With over 25 years of experience in the transactional printing and electronic-document delivery industry, Kevin has held a variety of positions throughout his career with both vendors and document service providers. Prior to joining CrawfordTech, Kevin was Director of Support and Services at Emtex, Pitney Bowes, and several other organizations. Kevin has worked hands-on with every aspect of the life cycle of documents - from composition to printing, insertion, archiving and final tracking through the USPS. Kevin now manages the professional services group at Crawford Technologies, ensuring that his team provides first-class services and solutions that guide customers to quickly implement and utilize CrawfordTech's products and services to their fullest potential. Since 2009, Ron Sheets has managed CrawfordTech’s Document Accessibility Services (DAS) plant in Potsdam, New York. 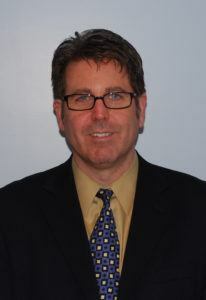 Ron manages the highly-secure site, maintaining PCI-DSS and HIPAA compliance and our SOC2 certification. Ron ensures that we meet our customers’ Service Level Agreement targets, providing automated processing of customer data, braille embossing, large font printing, eText, audio and computing services. With more than 22 years of experience in operations management, software development, technical team management and product management, Ron brings a wealth of expertise to CrawfordTech. Ron’s experience in building a successful services organization focused on technical computer control strategies, process improvement, and international operational management consulting services has been instrumental in building CrawfordTech’s high-availability and high-security data center. Ron’s computer science background, combined with more than 15 years of experience building industrial process control systems has been instrumental in the success of CrawfordTech’s DAS Services Business Unit. Created for our 20th anniversary in 2015, this video defines what our core values as a company are.